Why not make an extra special gift for someone at Easter? 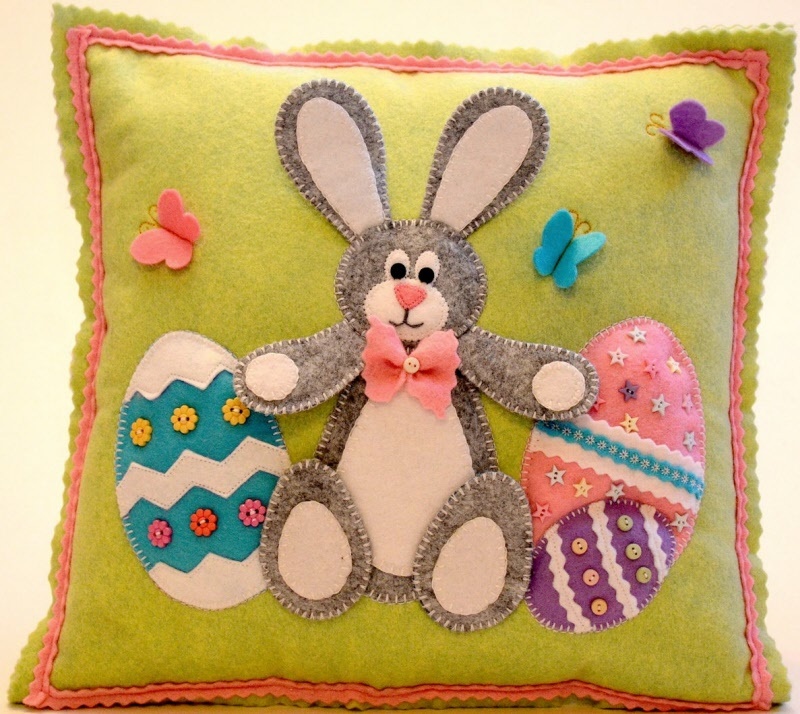 This sweet little cushion is desperate for a home and if you take away the eggs, it is suitable for a beautiful baby gift or for all bunny lovers year round. Designed by Gail Penberthy, it has been made from felt and it measures 12 1/2 x 12 1/2 inches.